First cut a 5 3/4" x 9" piece of burgundy card stock and fold it in half for the base and a 4 1/4" x 5 1/2" piece of white for the front layer. Next dry emboss the front layer with a Stampin' Up! 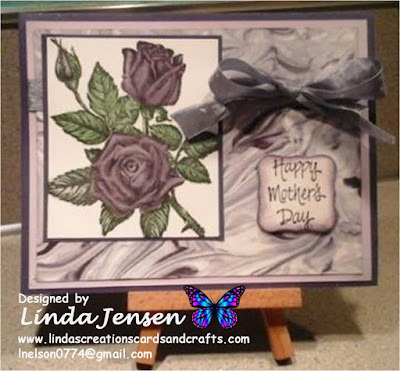 Framed Tulips embossing folder. 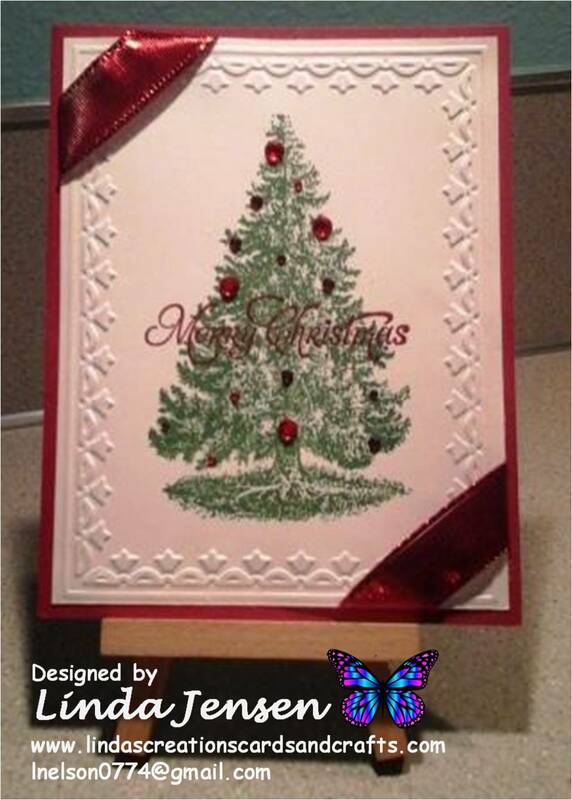 Then use a Stamp a ma jig to stamp the tree in Stampin' Up! Garden Green ink then stamp the sentiment with a stamp from a Stampin' Up! More Merry Messages set in Stampin' Up! Cherry Cobbler ink. Next attach the self-adhesive rhinestones and ribbon around corners then attach the front layer to the base and enjoy!